No matter what your shower is made of, be it ceramic or travertine, if it is not cared for regularly and properly it can get very dirty very fast. In many cases, an unkept shower can cause health hazards. Even if you have a professional cleaning service that visits your home regularly, you will still need to do a little maintenance cleaning on your own. Here are 5 ways to keep it looking fresh and clean every day. After every shower, use a squeegee and/or a towel to get it completely dry after use. It will usually only take a minute or two of your time, and it will cut down on mold or mildew buildup! Another bonus, if you have glass shower doors this is a great way to keep soap scum and water spots off. Bar soap leaves a residue almost anywhere it goes. When you use it, that really tight feeling on your skin isn’t just from the oils on your skin being stripped off, it’s from product left behind as well. Using liquid body wash and other products will reduce the amount of scum left in your shower. Acid based cleaners, such as toilet cleaners, are not good to use in your shower. They will very easily strip off the sealant and etch the surface. Look at the ingredient list of any shower cleaner you buy, and you see an acidic ingredient, don’t buy it. However, if you use vinegar as your all purpose, it is safe to use in a tile shower. While it is acidic, if diluted properly will not damage your sealant. Vinegar is NOT safe to use on marble or stone. 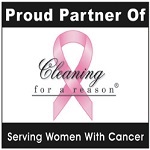 For more information on the pH of cleaners, Check Out About.com’s Article On Common Cleaning Supplies. Soap scum is not only unsightly, but can do irreversable damage if not removed. If it’s left on there long enough, it can etch into the glass and tile, so that it never looks fully clean again. If you start to notice a little bit of it, clean immediately. You will usually see it first towards the bottom of the shower door. If there is only a small amount of soap scum and you know you’re catching it early, a magic eraser and water should get it right off for you. Use an alkaline-based cleaner, such as Scrubbing Bubbles, to remove buildup from affected areas if it’s too thick to come off without a cleaning product. If you take great care of your shower, you won’t need to have it resealed very often. 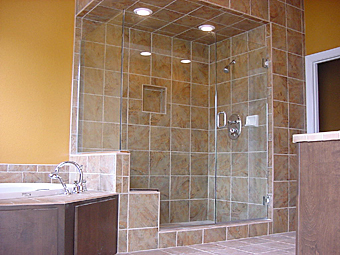 However, the shower is one of the most used areas of your home, and from time to time it will need upkeep. If you choose to reseal it yourself, make sure you follow instructions 100% by the book. Once you start to notice cracks in the sealant, or mold in the grout that won’t come out with bleach, it’s time to have this done.